In this post, I’ll describe how I easily upgraded to Windows 10 an HP Pavilion 11 x360 2-in-1 test notebook which previously had Windows 8.1 version. On this laptop, I earlier reserved a free copy of Microsoft’s new operating system using the Get Windows 10 app. My goal was to upgrade Windows 8.1 to Windows 10 as easiest as possible, while keeping previously installed programs and user files intact. The Windows 10 installation/upgrade required only a few clicks, one system login, and a bit of time – roughly about 1.5 hours. No USB Flash drive or other media was needed. 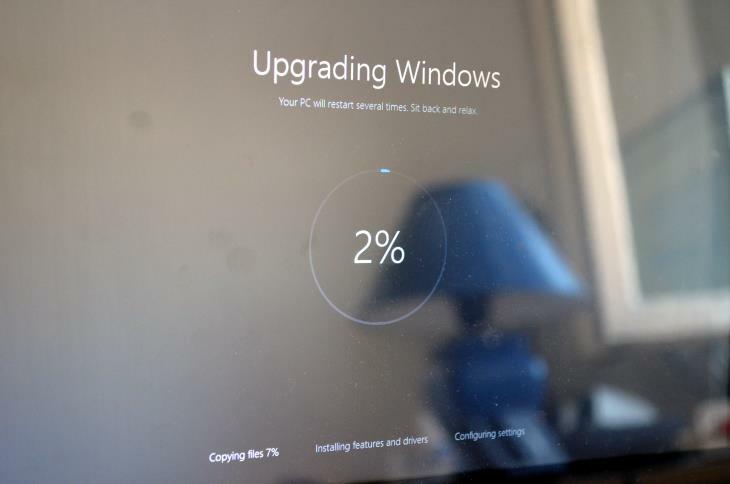 This process also applies to Windows 7-to-10 OS upgrades. The upgrade passed without any issue. Still, if you want to do it your computer, I advise you to back up your data first to prevent any eventual loss. 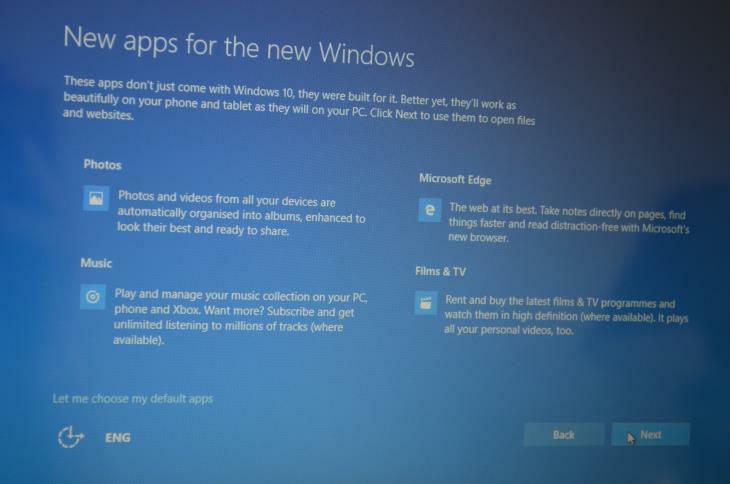 The Get Windows 10 app is primarily designed to check if your hardware is eligible for a Windows 10 upgrade and to notify you once update for your computer is ready for installation. The program relies on the Windows Update feature you can find in the Control Panel of your OS. Therefore, the method presented here can be also called Windows 10 upgrade via Windows Update, as opposed to using Media Creation Tool. With the Media Creation Tool the process isn’t much different, unless you choose to create a bootable media and do a clean install instead of choosing to upgrade your OS right away. 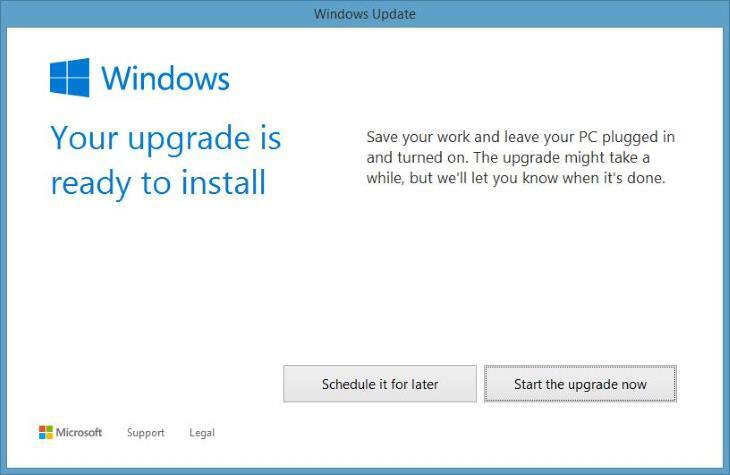 The Tool is a better choice if you want to upgrade your system now, instead of waiting your turn to receive the upgrade via Windows Update (Microsoft pushes upgrades via Windows Update across the globe in stages, to avoid network overloads and other issues). 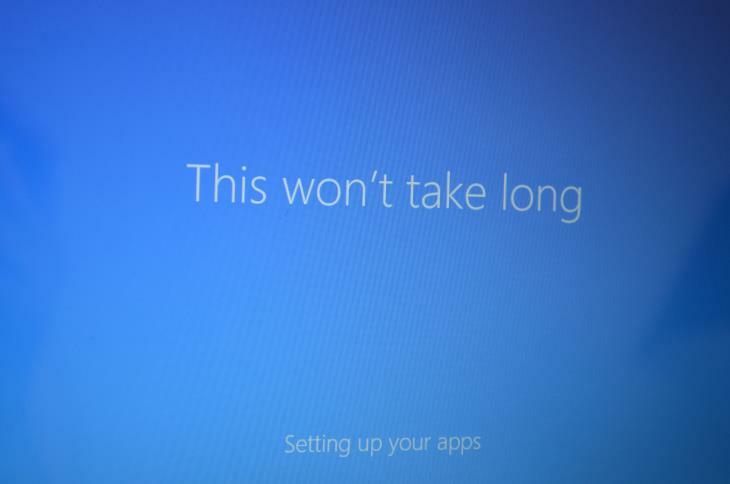 Let’s get back to the installation process using Get Windows 10 app / Windows Update. I opened the program by clicking on the Get Windows 10 app icon (Windows logo) in the lower right corner of the screen and noticed that download of Win 10 package has started. 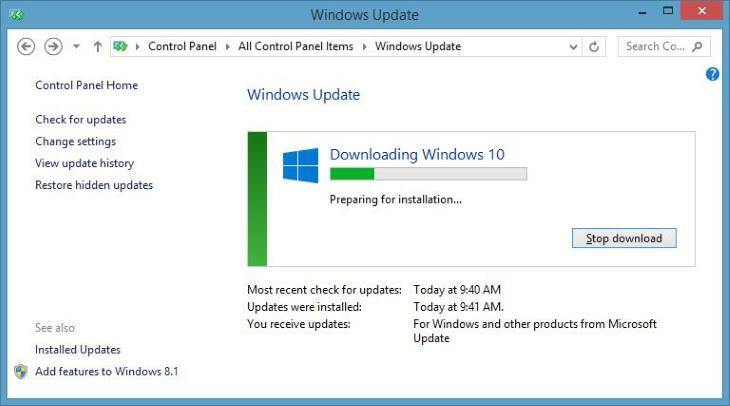 It was possible to track download progress in the Control Panel > Windows Update section. If you don’t check whether is your Windows 10 ready via the app, chances are it will let you know using a pop-up window about availability of the update. Once download was completed, I got the “Great, we’ll get the upgrade started” window. 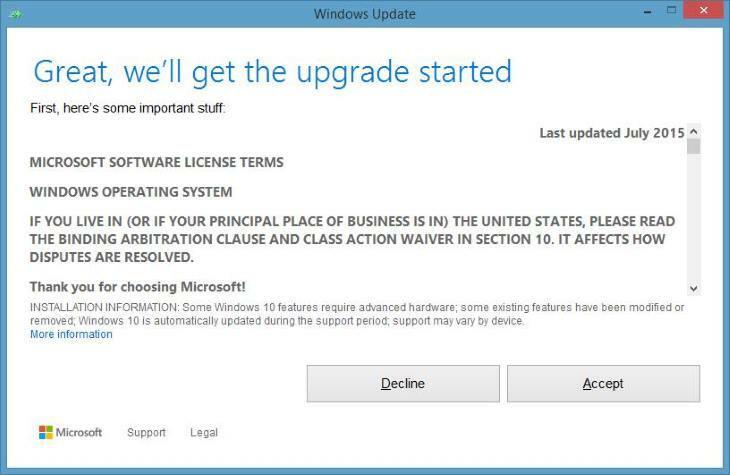 After I accepted Microsoft’s Software Licence Terms, “my upgrade was ready to install”. I pushed the “Start the upgrade now” button. There was an option to “Schedule it for later”, too. 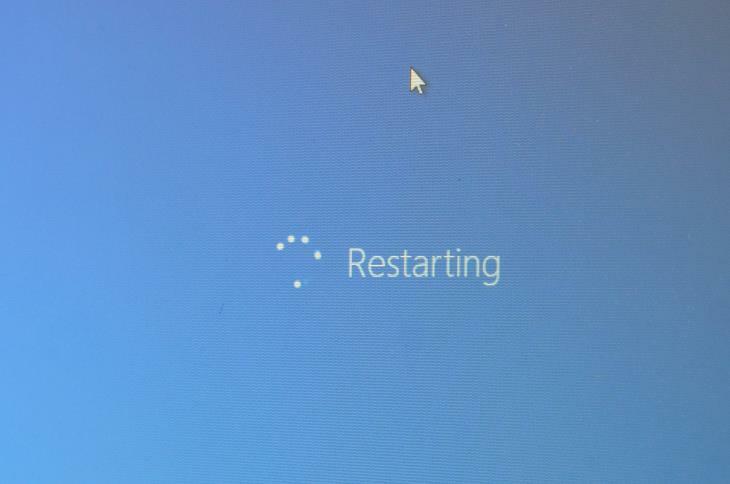 Then, the laptop restarted. After the restart, a couple of messages passed on the screen… No action on my end was required. The “Upgrading Windows” process took a while, almost 45 minutes. But that’s not a surprise, since the HP x360 laptop I was upgrading is a relatively slow one, with a basic Intel Pentium CPU, 4GB RAM, and sluggish 5,400rpm hard drive. The laptop restarted again. I was greeted with a “Hello there, welcome back” message. Clicking “Next” took me to the “Get going fast” screen. 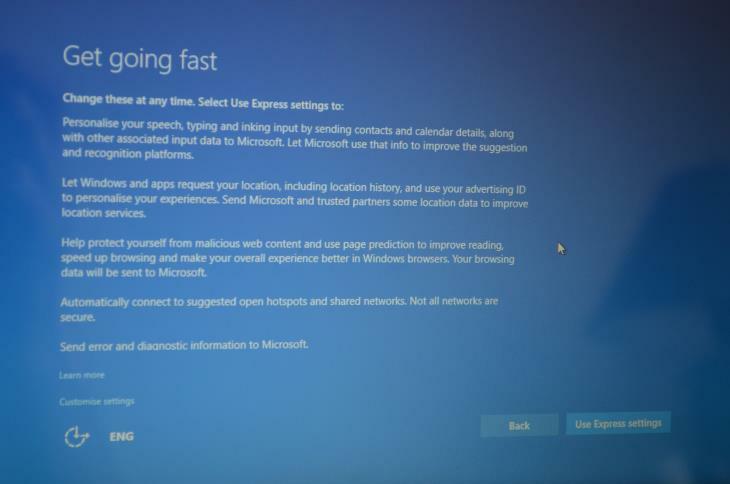 I used “Express settings” to make the installation process quicker and easier. The next screen let me know about “New apps for the new Windows” and gave an option to “choose my default apps”. I just proceeded further by clicking “Next”, knowing I can choose the apps later, once Windows 10 is up and running. 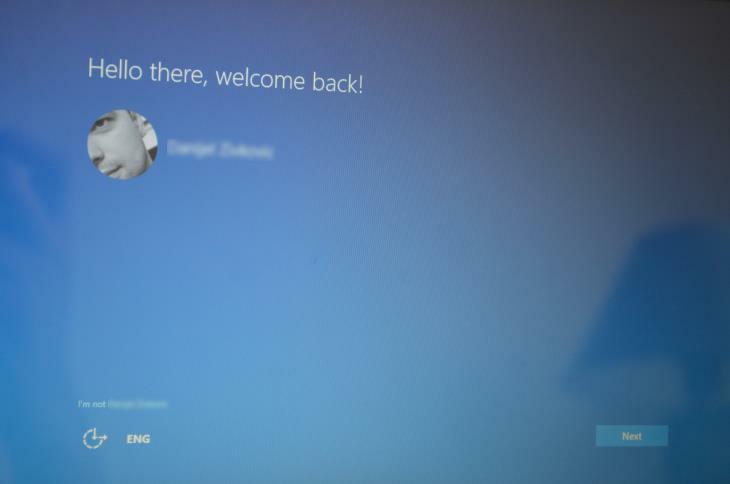 The Windows 10 log-in screen showed up and asked for the user password. As a side note, in Windows 8.1 I used a Microsoft Account for security and other purposes, as opposed to a local account. 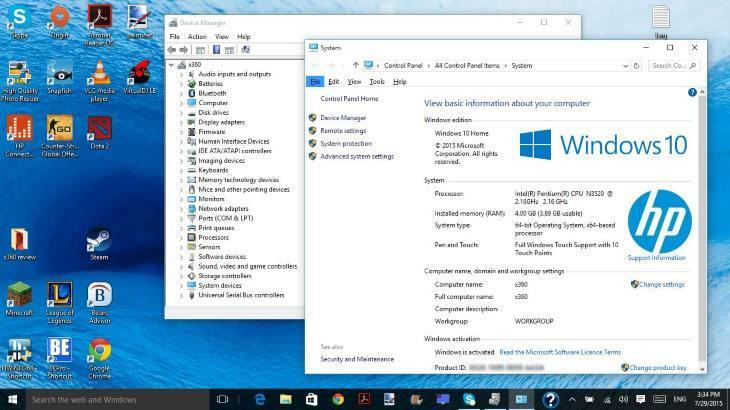 The same account was automatically carried over to Windows 10. I logged in using my Microsoft Account password. But, that wasn’t the end. “This won’t take too long” stayed on the screen for a couple of minutes more. 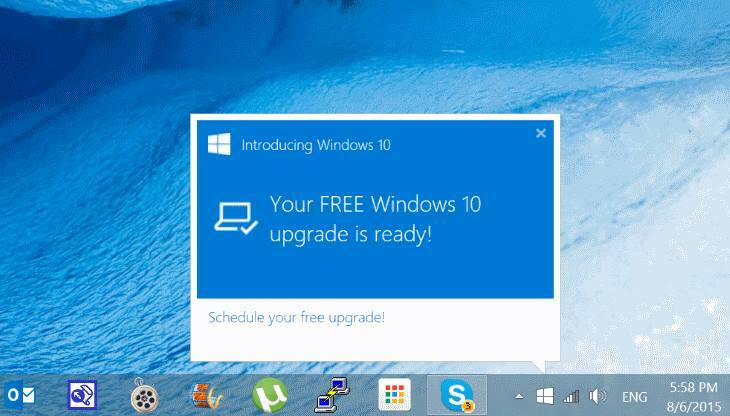 Finally, Windows 10 desktop showed up, together will all the fancy features the new OS brings to the table. 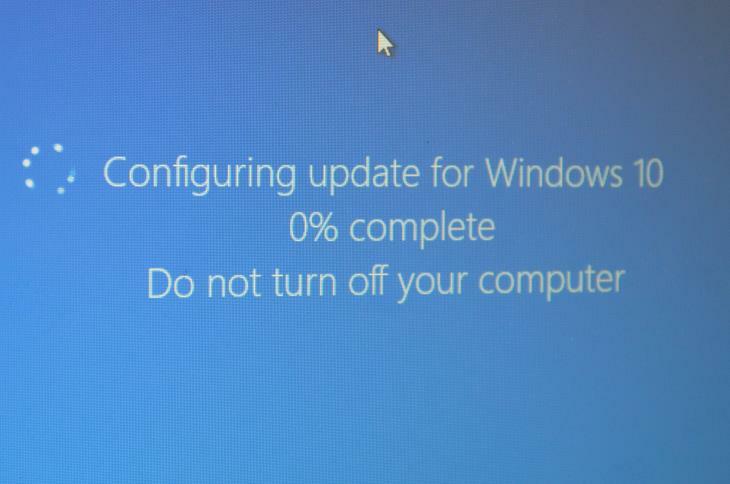 Thankfully, everything worked perfectly on the laptop under Windows 10. All drivers were installed correctly. Also, the old programs installed under Win 8.1 and user files were preserved. 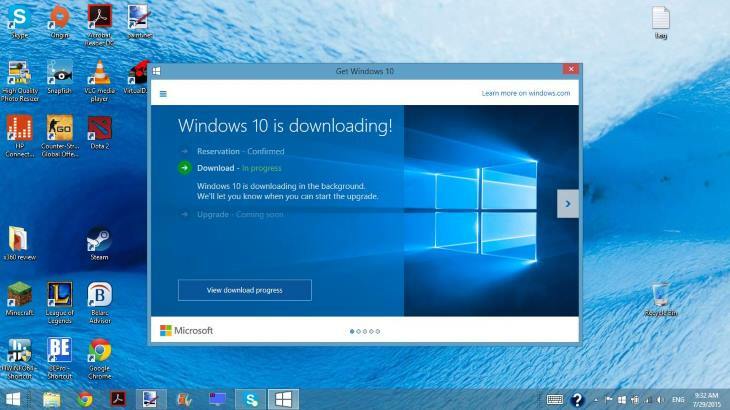 There are other methods for upgrading to Win 10, such as using a bootable USB Flash drive and the aforementioned Windows 10 Media Creation Tool. However, I believe the majority of Windows 8.1 (and 7) users will choose the upgrade path as described in this post, since it’s a kind of a default one and certainly the easiest. It also doesn’t require any Flash drive or other media. 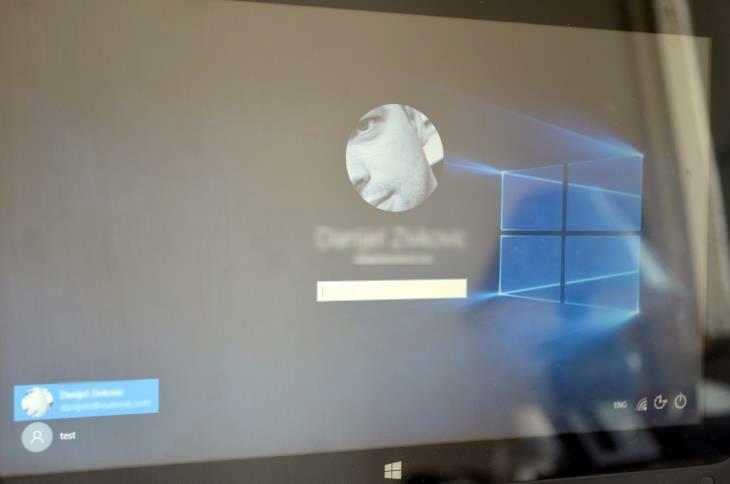 I received the logo windows 10 but it won’t update. 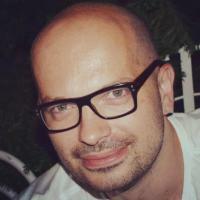 Microsoft doesn’t release updates across all computers at the same time probably due to huge Internet bandwidth requirements and other issues it may cause. You have two options: to wait for your installation to get ready and check availability using the Get Windows 10 app (“logo windows 10”) or go to this page https://www.microsoft.com/en-us/software-download/windows10 , download the Media Creation Tool, run it, select “Upgrade this PC now” option when it shows up instead of “Create installation media”. Then, follow instructions on the screen. The steps will be similar to those described in this post.